They shun traditional thinking, experiment with new approaches, and stick to their guns. What could a mobile telecom CEO, an NFL head coach, and a presidential candidate possibly have in common? And what can entrepreneurs possibly learn from them? John Legere, Chip Kelly, and Donald Trump (yikes!) changed their games by defying tradition, understanding their situations, and trying new things in the face of criticism. They aren’t afraid of failure, don’t sidestep controversy, and find creative solutions to achieve success. Let’s dig into each of them. John Legere may be my favorite CEO right now. The brash and outspoken leader of T-Mobile may rub people the wrong way, but what he has done to improve the customer experience for the mobile consumer and change the telecom game has been nothing short of spectacular. 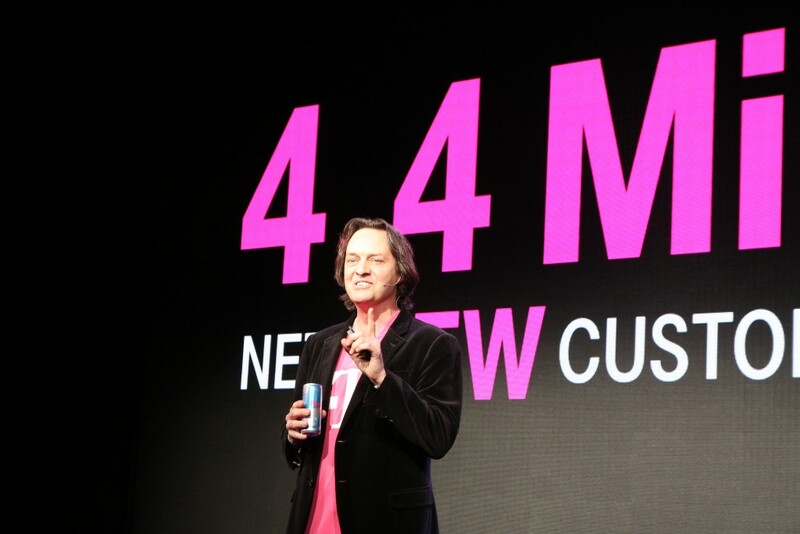 John Legere. Image courtesy of Wikimedia Commons. T-Mobile’s “Un-carrier” approach has broken every unwritten rule and flipped the cell phone industry on its head. The company’s moves have put its competition on their heels and forced them to replicate many of their offerings. Legere helped the company truly understand mobile subscribers, how they used their phones, what services they accessed most frequently, and the pain points they faced. Customers didn’t want to pay overage charges, so they allowed every subscriber to have unlimited talk and text, and pay for as much data as they need. Even if customers went over their data limit, they wouldn’t have to pay extra; rather, their data speeds would just be reduced. Data is valuable to subscribers and they should be able to keep what hasn’t been used. AT&T was the first to have rollover minutes, where airtime you didn’t use the prior month would be rolled over to the next. T-Mobile was the first to have rollover data, which AT&T also adopted soon after. Subscribers often use their phones to stream audio from services like Pandora and Spotify and video from YouTube and Netflix, and this chugs data like crazy. T-Mobile customers on certain plans can stream video and audio without tapping into their data stores, which is amazing. All of these tactics have increased T-Mobile’s market share to 16% of the wireless carrier market from the 10% the company had before Legere joined in September 2012. T-Mobile leapfrogged Sprint to become the #3 player and has leaders Verizon and AT&T in its sights. Legere’s deep understanding of mobile consumers and ambitions to do things differently are the primary causes of T-Mobile’s success. I’m a New York Giants fan, so it pains me a little bit to give props to Chip Kelly, who most recently coached division rival Philadelphia Eagles. But he has certainly put his stamp on football, and that’s due to Kelly’s ability to experiment and try new things. Kelly found immediate success as head coach of Oregon, where he coached from 2009-2012. He led the Ducks to multiple Pac-12 titles and put the football program in the national spotlight perennially. This success was primarily due to his high-tempo, spread option offense, where his team would basically run a no-huddle offense all game. While other college offenses used up to 40 seconds (the length of the play clock) between plays, Oregon averaged about 20 seconds in between plays. This non-stop style did not allow defenses to substitute players nor disguise blitzes or coverages. Thus, Kelly was able to exploit weaknesses and attack tired defensive players. His offense struck fear in the hearts of defensive players and many times forced them to fake injuries to keep up. Additionally, Kelly’s use of signs and images to call plays was unorthodox, and opposing coaches could never get an idea what was going to happen on the field. 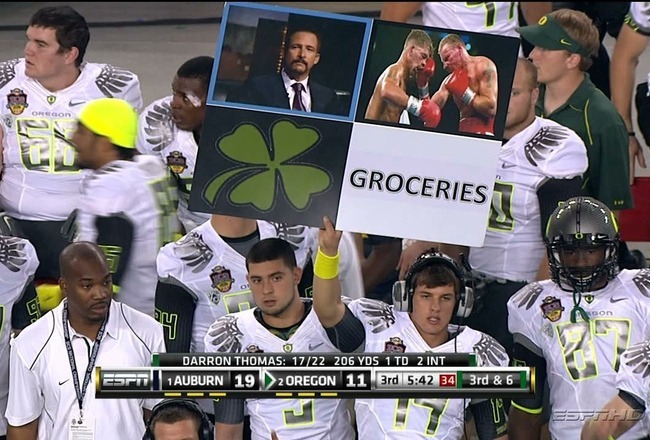 Oregon playcall signs. Image courtesy of USA Today. When Kelly was named the head coach of the Eagles in 2013, pundits said his system would never work in the NFL. But in his debut season, he led the Eagles to a 10-6 record and an NFC East championship (to my dismay). The Eagles achieved another 10-6 season in his second season but missed the playoffs. This past season, the team crapped the bed and went 6-10, though I think it was more because of his poor General Manager abilities rather than his coaching skill. Kelly was recently named the Head Coach of the San Francisco 49ers. Regardless of where he coaches, be sure that competing teams’ defenses will be wary of his spread option offense. Like Legere, Kelly eschewed traditional thinking and experimented with new concepts to create his own style of offense on his way to success. Oh man, I know a lot of people are not going to agree with me on this one. And please believe that I disagree with pretty much every word that comes out of Donald Trump’s mouth. But his impact on the attention that is being paid to the Republican presidential race can’t be denied. Just look at some of the ratings records that are being broken on Fox News and CNN for the debates – higher than The Walking Dead and some NFL games! Donald Trump. Image courtesy of Mike Licht on Flickr. And that’s because he speaks what is on his mind (and probably what’s on the minds of many other Americans) and isn’t worried about what has been done in the past. While every candidate ever has toed the line to make the majority happy, Trump is only concerned with expressing his views and what he thinks is right for this country, no matter who he rubs the wrong way. There are certainly better candidates for the oval office. 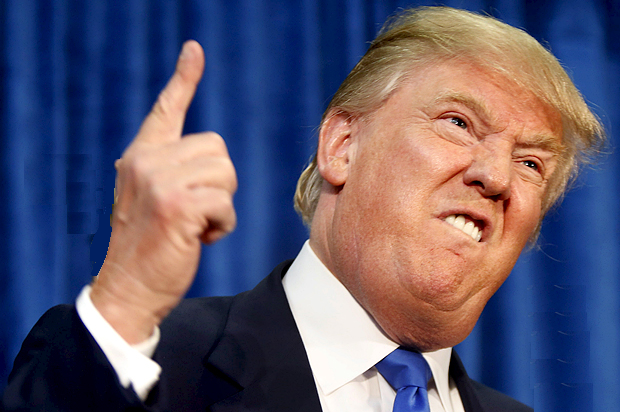 But in this Republican presidential race, Trump is different, and sometimes different is better than better. Entrepreneurs already buck the trends by shunning the corporate path for one that is more emotionally and financially volatile. Like true entrepreneurs, John Legere, Chip Kelly, and Donald Trump throw tradition to the wind and don’t worry about what others think of them. In John Legere’s case, he garnered a thorough understanding of his customers and created policies that catered to their pain points to help T-Mobile change the game and grow. Chip Kelly experimented with and discovered ways to exploit defenses to his advantage and found success at all levels of football despite naysayers. And Donald Trump simply has strong beliefs about what he thinks is best, and communicates these thoughts passionately and without fear. No matter what your opinion is of these men, you can’t deny that there are traits of these leaders that every entrepreneur can and should emulate. If you enjoyed this episode and blog post, and we hope you did, please share it using the social media buttons to the left.